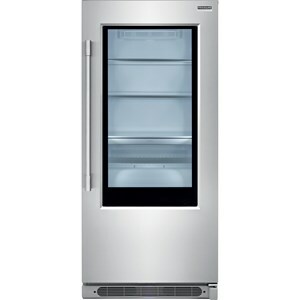 The All Refrigerators 16.7 Cu. Ft. All Refrigerator by Frigidaire at Colder's Furniture and Appliance in the Milwaukee, West Allis, Oak Creek, Delafield, Grafton, and Waukesha, WI area. Product availability may vary. Contact us for the most current availability on this product. Capacity: Total 16.6 Cu. Ft. Shelf Area 18.2 Cu. Ft. Depth with Door at 90° 60.25"